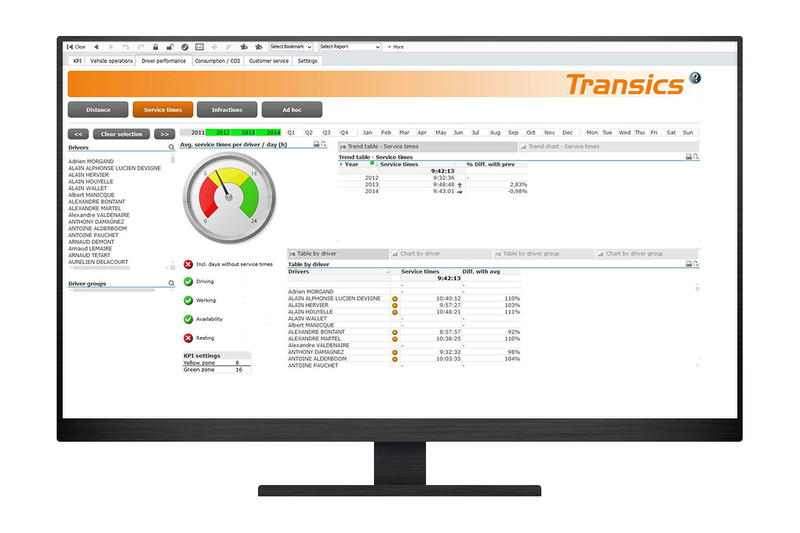 TX-DASHBOARDS is an assessment platform that helps you identify and monitor your strategic objectives. 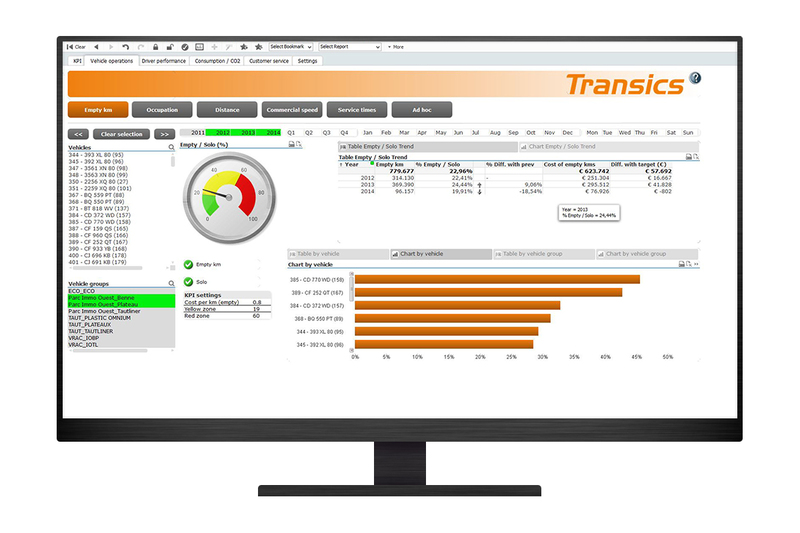 It takes your actual fleet data as a starting point, translates them into trend reports and compares them with your company objectives on 4 levels: vehicle efficiency, driver performance, fuel consumption and customer service. 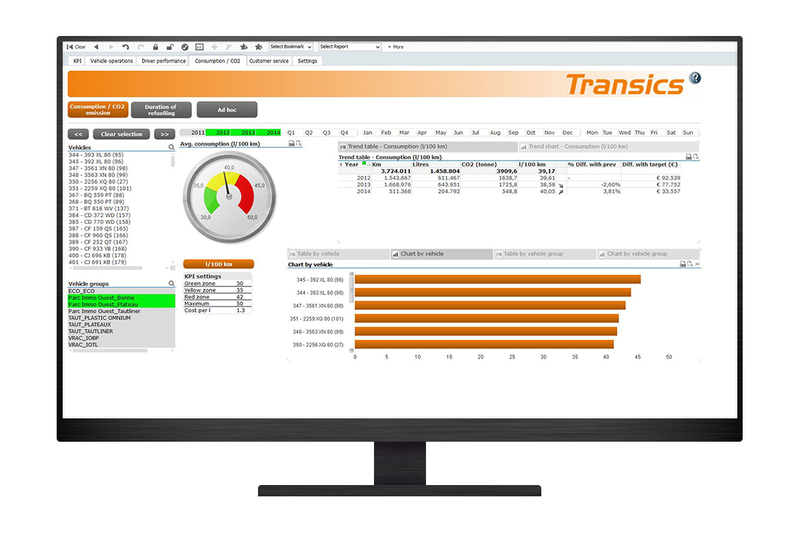 TX-DASHBOARDS allows you to visualise the performance of your drivers and vehicles and compare them to the objectives you have identified. 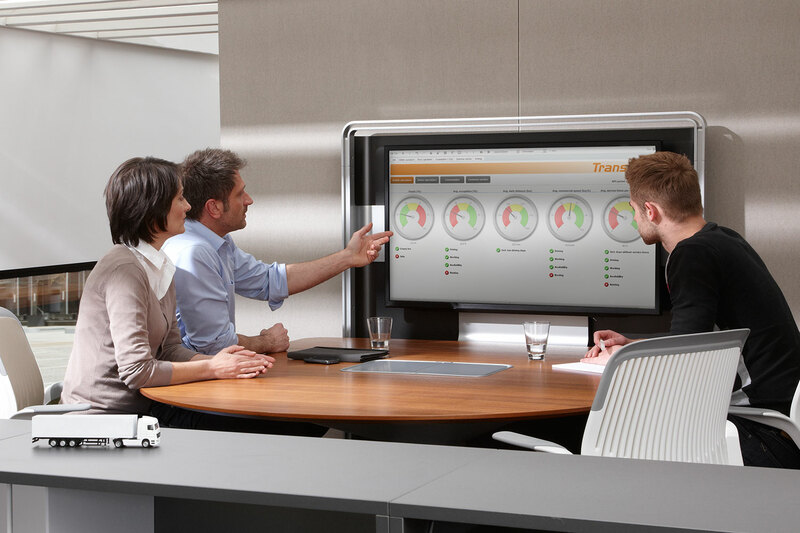 You can discover opportunities to optimise your operational performance and work out targeted actions. 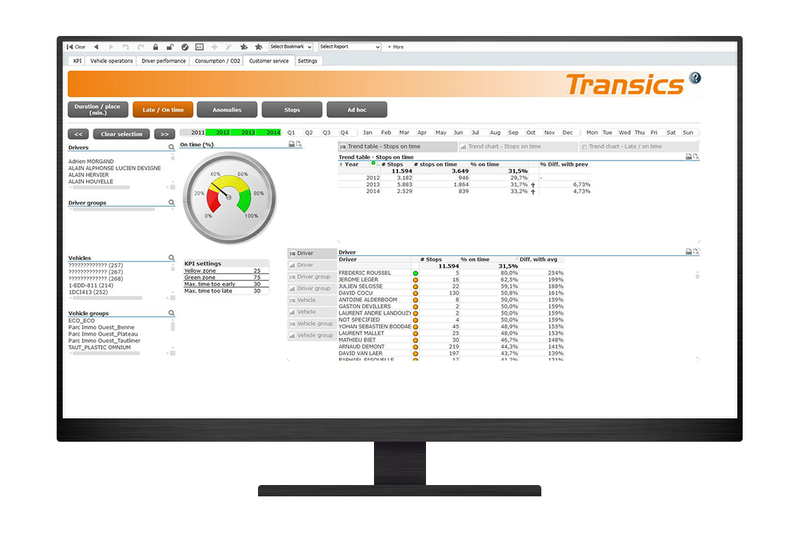 Integrated into the powerful TX-CONNECT back office platform, TX-DASHBOARDS is the trusty yardstick of your corporate performance. 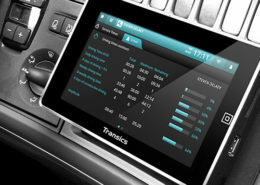 TX-DASHBOARDS takes your fleet data as a starting point and assesses it against 4 ROI criteria (Return on Investment). Check the amount of kilometres your vehicles travel and how many of those kilometres are empty ones. Compare their average speed and verify the ratio driving versus standstill. Verify the distance your drivers travel on an average scale. Have an overview of their service times and the amount of infractions. Compare the average consumption of your vehicles and check the duration of an average fuel stop by your drivers. Get insight into the amount of stops and the time your drivers spend per stop. Check how many of your shipments are delivered in time and verify how many anomalies occur per stop. 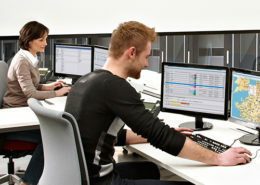 TX-DASHBOARDS is standard integrated into our TX-CONNECT back office platform. Its source is the vehicle and driver data captured by our on-board computers. 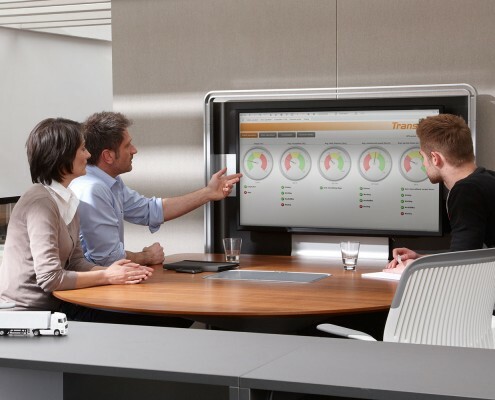 Let us show you how TX-DASHBOARDS can benefit your company. Just give us a call or complete the contact form.